I’ve decided to include the five covers for the Larry McMurty titles published by PAN even though ‘Lonesome Dove’ doesn’t have a PAN man in its logo, it’s there just for completeness – well that’s my excuse. We’ve been away in the camper for a few days and I was hoping to be sitting out on the longest day of the year with a nice cool beer until at least 22:00 but we were actually huddled inside from 20:00 as the sun went in and there was a chill wind. On the plus side we did visit a couple of National Trust properties with second hand bookshops and I seemed to have picked up mainly Jackie Collins titles which I did intend to scan and add this week but time has beaten me. Maybe next week? Unfortunately no additions to the ‘PAN Books as see in National Trust’ properties this time. A few of the Collins covers has artwork by Chris Moore and I’ve just been reading ‘Journey Man – the art of Chris Moore’ as I mentioned him last week plus ‘Professional Airbrushing’ by Tom Stimpson. 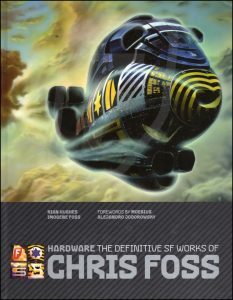 The other Chris is Chris Foss and I’ve been in email contact with his daughter Imogene who has promised me a spreadsheet of his titles and publishers which must be a very long list. 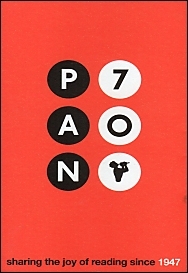 I’ve also been reading ‘Hardware’ which helps me with some of his early PAN covers that had not name.